Last year, Apple Inc. introduced a feature called Intelligent Tracking Prevention that impacts how conversion tracking works on the Safari browser. 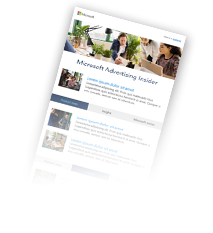 To help ensure that conversions continue to be reported accurately and in full across your Bing Ads campaigns, the auto-tagging of the Microsoft Click ID in ad URLs is now required. How does auto-tagging of the Microsoft Click ID work? When you enable auto-tagging of the Microsoft Click ID, it allows Bing Ads to automatically add a unique click ID to the landing page URL after a customer clicks your ad. The landing page URL may look something like this: www.contoso.com/?msclkid=123abc. The Universal Event Tracking (UET) tag is a critical part of conversion tracking on Bing Ads. Once the auto-tagging of the Microsoft Click ID is enabled in the settings option, the UET tag will set a cookie on your website’s domain to capture the Microsoft Click ID from the ad URL that brought the customer to your website. This allows Bing Ads to connect any conversions from a visitor back to the search ads that may have assisted in that conversion. In addition, the UET tag will set a session ID cookie on your website’s domain to help improve the accuracy of conversion tracking. You can learn more about the cookies set by the UET tag, including how to opt out, by visiting our Help page. This option will be selected by default when creating new conversion goals. Note that this setting is managed at the account level. If you have more than one account, make sure to check the box within each account. Feel free to visit the Help section of Bing Ads for additional resources on our conversion tracking feature. You can also find walk-through videos on YouTube. Share your questions or feedback on Twitter, where you can reach the Bing Ads team as well as a community of experts across the industry. If you have a new feature you would like to recommend, please try out the Feature Suggestion Forum.